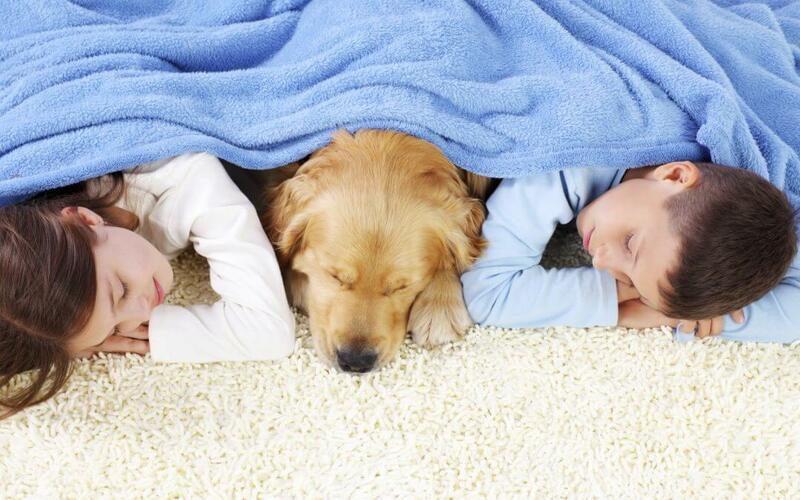 Does your pet leave stains and odors on your carpet that continue to seem impossible to get completely rid of? Don’t worry—we have a few pro tips about what to do when you find a new pet stain. Effective pet urine cleaning is no walk in the park. We want to help you get rid of those stains and odors for good! By acting quickly, you should be able to eliminate most of the surface stains left behind from your beloved pet. First, you want to gently remove as much of the stain as you can by dabbing the area with a towel. Absorb as much of the residual stain as possible without harshly scrubbing it deeper into your carpet. This is key in the treatment process. Follow up with a cleaning solution that is designated specifically for stain removal. You can try either a store bought cleaner or a homemade solution. You just want to make sure the formula is non-toxic and pet-friendly. Make sure you only use a small amount of cleaning solution each time. Using too much often leaves behind a soapy residue and attracts more dirt and bacteria to that area in the future. When it comes to taking care of pet stains and odors, the wrong cleaning methods actually make the problem worse. DIY cleaning methods may remove surface stains, but the source of the germs and odor remains trapped in your carpet. When pet urine dries, potent bacteria-filled crystals remain in the area. This is why strong odors recur and your home continues to be exposed to harmful bacteria. Even the best at-home methods are unable to completely remove these hazardous odor crystals. It’s also important to use cleaning solutions that are non-toxic and safe for your children and pets to be around. The wrong cleaning solutions can discolor your carpet, leave behind a sticky dirt-attracting residue, and put your loved one’s health at risk. Another common problem with pet urine cleaning treatment is that people often use too much water. The excess moisture with DIY carpet cleaning methods increases the risk of mold and mildew growth. Not to mention how environment “unfriendly” it is. Above, we mentioned how important it is for you to quickly attend pet stains and absorb as much of the surface stain as you can. But it’s important to remember that to eliminate those lingering odors and harmful bacteria, a professional Pet Urine Removal Treatment is needed. We recommend that if this is a continual problem, it should be done about twice each year. This professional pet stain and odor removal treatment from Chem-Dry breaks down odor crystals left behind when moisture dries and removes 99.9% of pet urine odors and 99.2% of bacteria from pet urine in carpets. Our goal is to help you live life to the fullest with your precious pet and enjoy a clean, safe, odor-free home. 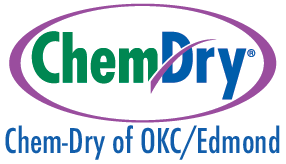 For a limited time, check out our coupons to save money on your next Pet Urine Removal Treatment in Oklahoma City and Edmond with Chem-Dry of OKC/Edmond!